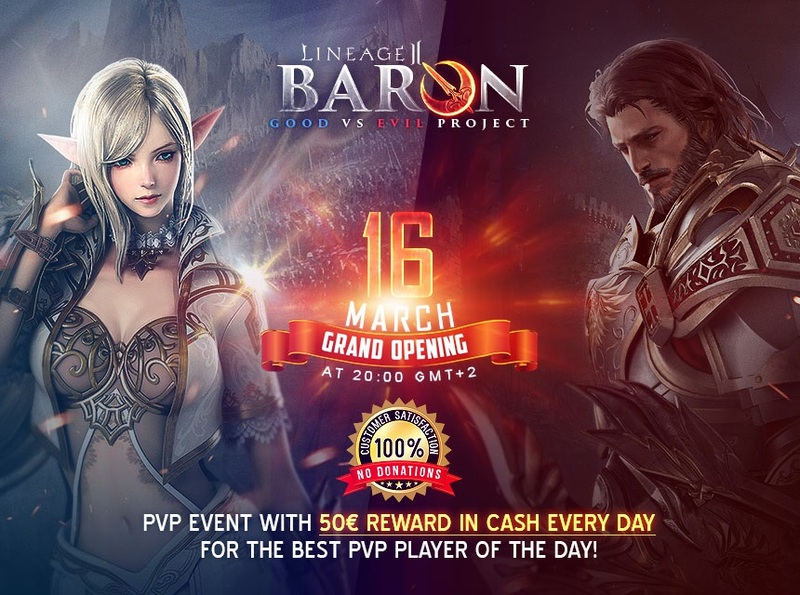 After many hours of hard work, we are proudly presenting you Lineage 2 Baron that will launch this year, on 16 of March at 20:00 gmt +2! We guarantee, you will have fun in our server without having to compete with prepaid - clans or GM friends and corruption. L2Baron on the other hand will NOT PAY any clans to join. We are planning an event with a huge money reward (50$ DAILY) for the best pvp player of the day - in order to invite more clans and players. Welcome to the best good vs evil server of the world and good luck to all!